Love to experiment with your hair? If you are adventurous enough to try out new styles, there are lots of hair styling devices available nowadays within your access. Go bouncy, curly or straight without any worry with some of the best styler kits from renowned brands, that too within your budget. From casual get-together to grand parties, be the head turner. Give your imagination a free flow and deck up to a new hairstyle that suits your attire, occasion and convenience at its best. To style your hair in the right way, having a suitable styling device is a prerequisite. With the market flooded with multiple products, all claiming to be the best, it’s certainly tough to make a choice. However with some simple tips as stated below, you can easily make a win-win purchase without much trouble. Consider Your Budget: The first thing to do is have a clear knowledge about your budget. With too many options to choose from, most people get spoiled and end up buying an over expensive item. If you want to make a wise purchase, try to adhere to your budget instead of getting impulsive. Knowing your maximum budget limit is therefore very important. Research about the Brands Available: Secondly, you should have a thorough knowledge about the brands and their styling products beforehand. Only when you are aware of the features and facts of a product, you can decide better. Moreover a comprehensive research on several similar products gives you a complete insight on the pros and cons of the devices. Ask for Reviews and Suggestions: Thirdly, always bank on suggestions and reviews from friends and relatives who have used these products before. There can be nothing better than firsthand experience to decide the right styling product. If you are purchasing online, try to read through the reviews in order to get a vivid idea. This professional hair styler has all the important features required to make your tresses look attractive and fashionable. 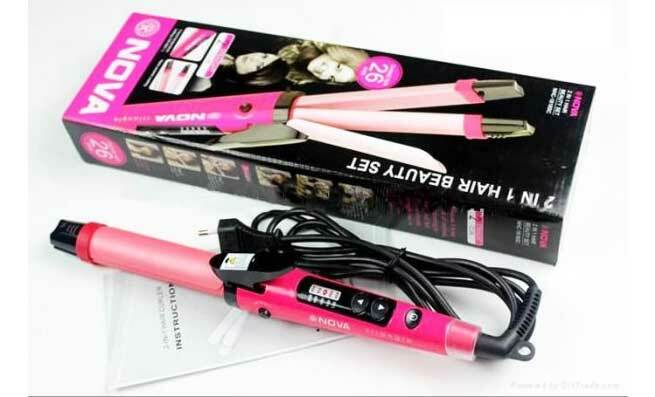 It has 2 in 1 styling iron along with PTC heater. The iron is coated with ceramic heating plates. It also has an automatic on/off switch, shockproof filaments and quick heat up system that makes it a must have for fashion conscious ladies. From the recognized brand of Philips, this hair styler is equipped with 1.8m tangle free cord, 16mm barrel diameter and ceramic coating that make the process smooth and effortless. It also comes with automatic LED indicator for maximum safety. Having this hair styler at home gives you relief from frequent parlor visits. With multiple advanced features to try out such as 3 Speed settings, slim and strong grip, roller brush, silent operation, blow brush, volume lifter and more, this styler is a delight to have. It is also provided with a swivel cord and flexible nozzle for better management. Want to flaunt straight soft tresses that add admiration, elegance and beauty to your look instantly? With this handy hair straightener from Ovastar that has ceramic plated tongs, 40sec heat up time, 180-200 degree temperature range and lots more, get ready within minutes with a casual reunion or get together. Loaded with facilities and amenities that make this hair styler an all rounder, Morphy Richards Style Max-10 in One Styling Kit Hair Styler is also lightweight and compactly designed to suit your travel requirement. Having all professional features such as 2 heating settings, 360 degree swivel cord, curling tongs, flat crimper, concentrator and diffuser, multiple styling brushes and lots more, try out this device for a chic look. For shiny tresses that look bouncy, frizzy free and straight, this multi-purpose hair styler from Babyliss is a wonderful choice to check out. Its key features such as 3 speeds setting, air cool adjustment, swivel cord, ceramic coated brush and storage pouch makes it a quality item to invest for. For fashion conscious women who want to create luscious tresses at home, this hair styler is at your help. Having features such as 3 heating options, 38mm thermal mix brush, automatic switch on/off etc, Remington Hair Styler provides with flexible hair styling solutions in the most effortless way. Style your hair without any damage, only with Philips HP8630/00 Essential Care Heated Styling Brush. It’s retractable bristles in protective ceramic coating makes sure that your tresses are safe, soft and voluminous at its best for maximum time. 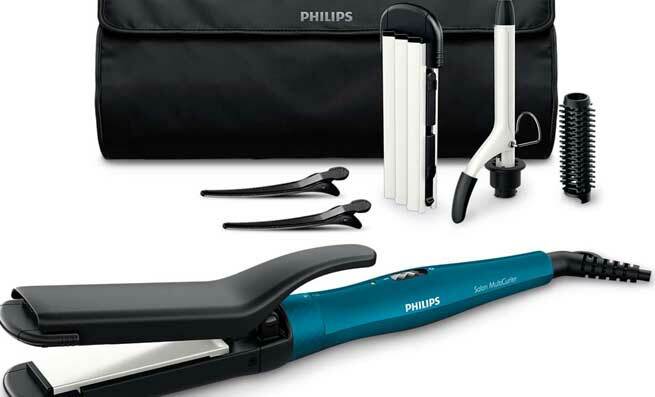 Suitable for all types of hair, this hair straightener from Philips gives you awesome temporary solution. Loaded with qualities such as low exposure to heat, ceramic coating for smooth usage, 210 degree Celsius temperature for professional finish and more, Philips HP8302 Essential Selfie Straightener is your handy solution for quick and short timed styling. Designed with a trendy and compact style, this hair dryer is the best friend for all who are in search of decent purchase in budget price. Having advanced concentrator technology that helps in quick heat, this hair dryer is loaded with 2 settings for easy and convenient drying.